We want to pause all the Halloween chatter for a bit and focus on another upcoming holiday: Diwali 2016. 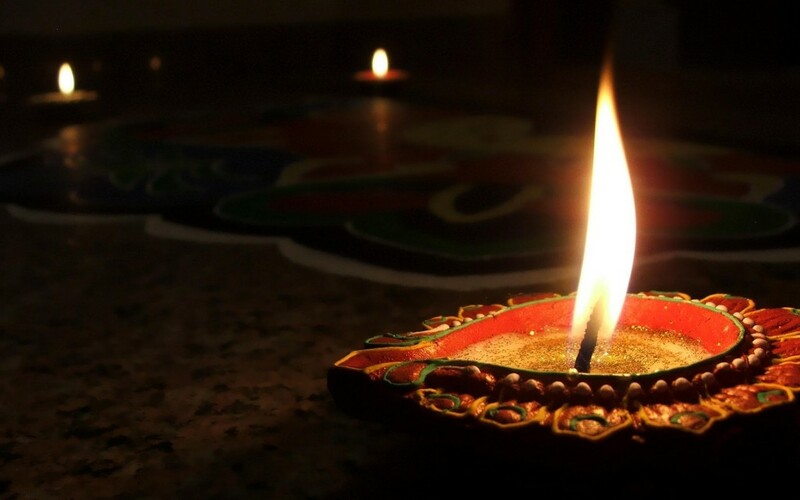 On October 30, Diwali begins. Diwali is a five-day celebration that is best known as “the festival of lights.” Naturally, we’re all over this one. A Hindu holiday, Diwali is also celebrated by Sikhs, Jains, and countless other people across the globe. 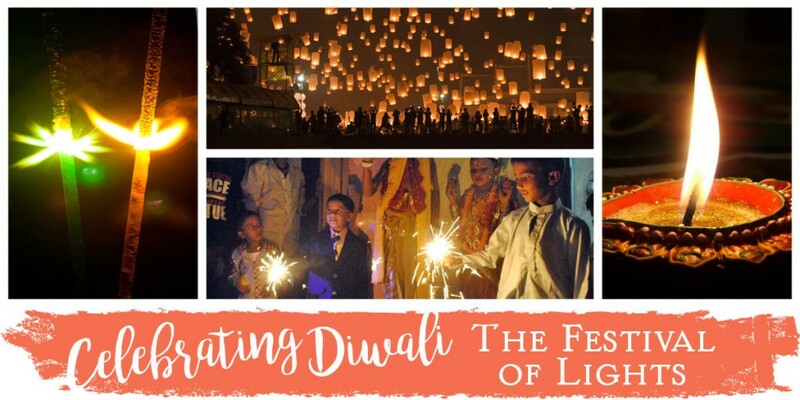 Diwali comes from the Sanskrit words deepa and avail and literally means “row of lights.” Diwali’s origins are found throughout many Hindu stories and legends. The most famous legend is the victory of Lord Rama over the demon king Ravana. After a 14-year exile, Lord Rama is welcomed home to a city full of lights, gifts, and delicious foods. It is a story of goodness winning over evil and a terrific after party. There are different stories and traditions tied to each day of Diwali, but the predominant motif is always light. For example, a fundamental ornament for Diwali are the countless diyas–clay oil lamps–that are set in every nook and cranny of Diwali homes. Homes are cleaned fastidiously, and sometimes even white-washed before setting out the diyas. 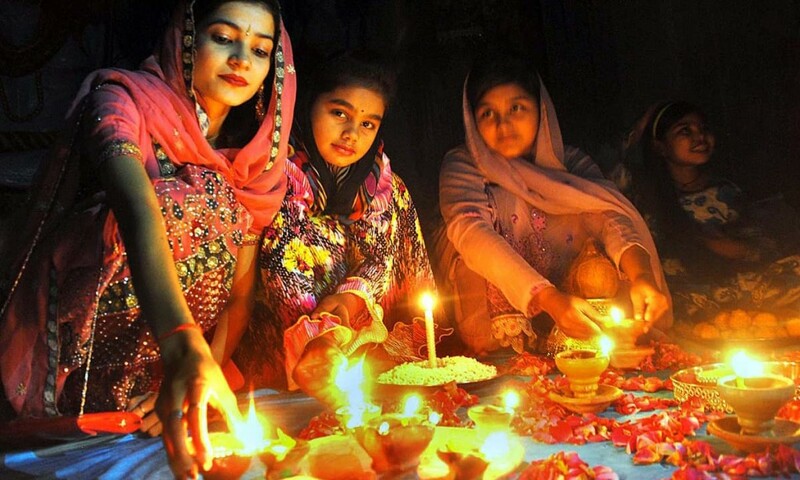 The light from the diyas illuminate the good and “pure” aspects of Diwali. The joy of good triumphing over evil is also depicted in Rangoli designs. Rangoli is an art form that involves intricate patterns using colored rice powder, sand, and flowers. Rangoli patterns bedeck walkways, floors, and even streets during the Diwali festival. As you can imagine, Diwali is an incredibly colorful and eye-dazzling celebration. As Diwali is about to be celebrated all around the globe, we are excited to provide for the Diwali celebrations happening across the United States. 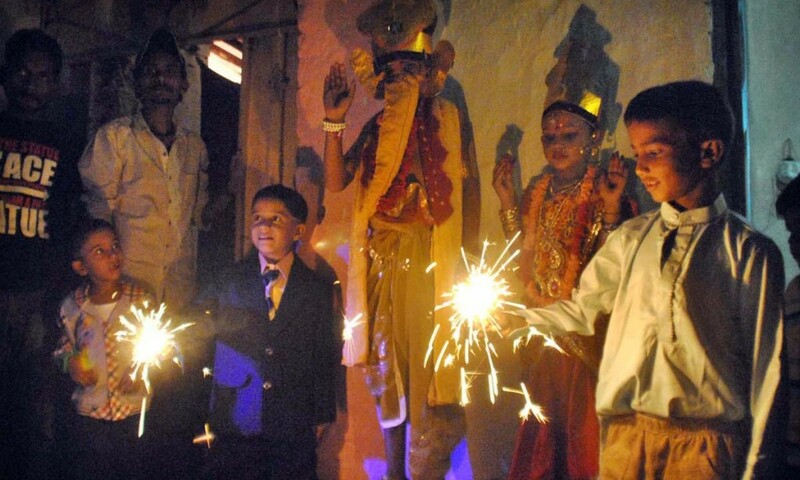 We are anticipating a great deal of Diwali activity here in the U.S. and we are so excited to be a part of it all. Sky Lanterns are one of the most beautiful ways to celebrate Diwali. 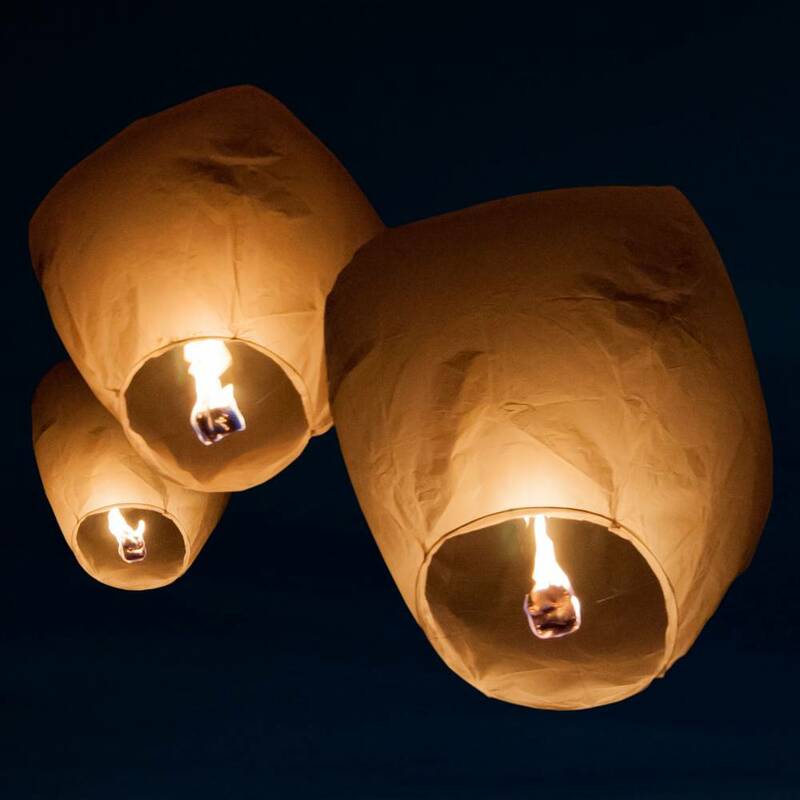 Released in the night sky, lanterns represent abundance, wealth, and good fortune. They are used in Diwali to pay tribute to Lakshmi, the goddess of wealth and prosperity. Our Sky Lanterns are bigger than the ones pictured above. Measuring at 39″ tall. and 24″ in diameter, these lanterns are made with fire-retardant, 100% biodegradable material. When celebrating Diwali, the more lanterns the merrier! 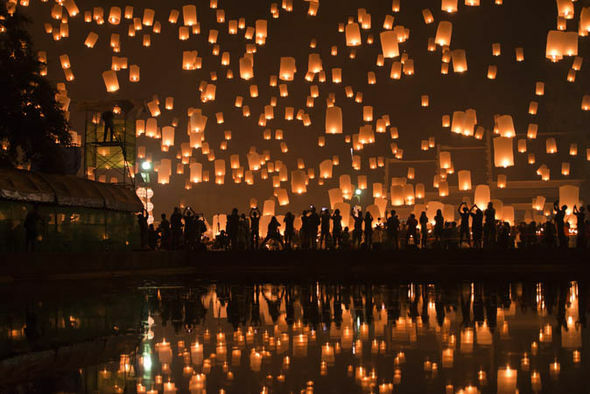 A full case includes 36 lanterns, so plan accordingly. We also have multiple options for colored sky lanterns. Our red, blue, and pink sky lanterns keep with the bold, vibrant hues characteristic of Diwali. Firework shows and sparklers are absolutely essential to Diwali celebrations. In the same way that sky lanterns represent wealth and abundance, fireworks capture the joy of Rama’s homecoming and the excitement for the future. A proper Diwali festival will be complete with a full fireworks show and sparklers for every person in attendance. 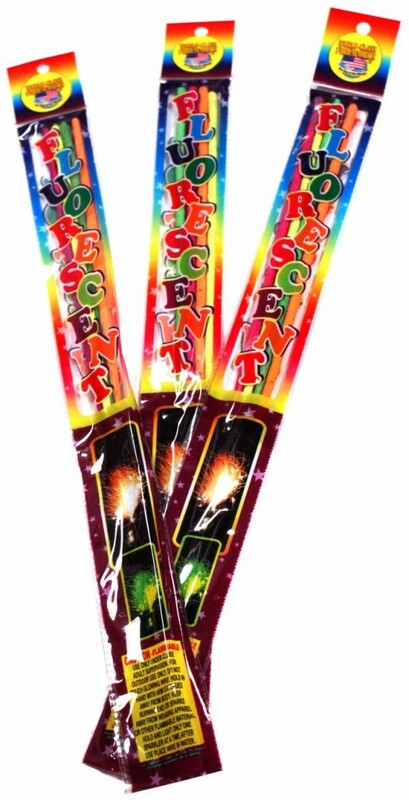 Our 10″ Color Sparklers are a great asset to any Diwali celebration. They come in red, gold, and green and there are four boxes of each color. 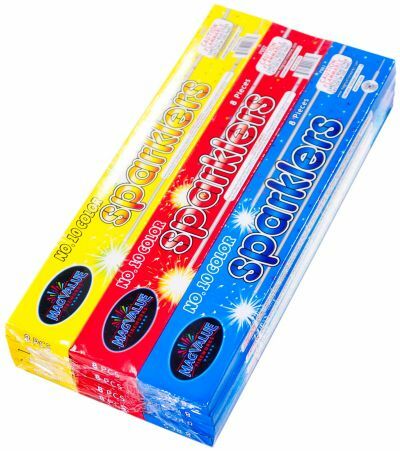 A total of 96 sparklers for just $7.52, these sparklers are an affordable option for Diwali festivities. They give off a torch-like effect that’s perfect for a colorful celebration. Fluorescent Sparkler/Torches are another great sparkler option. 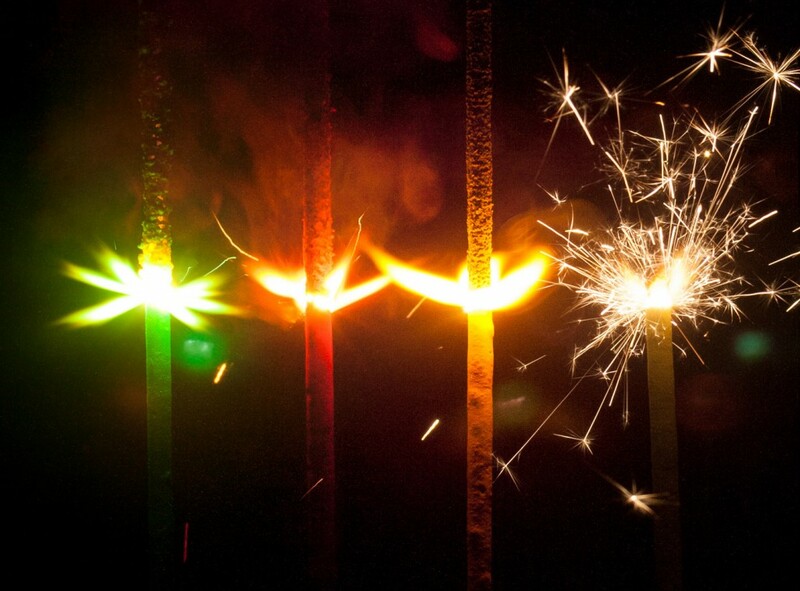 These 17″ sparklers burst with green, red, and orange fluorescent light and sparkling gold. With proper supervision, these are sure to be a favorite amongst children. $1.47 for a 4 pack makes this product a no-brainer to add to your Diwali fun. 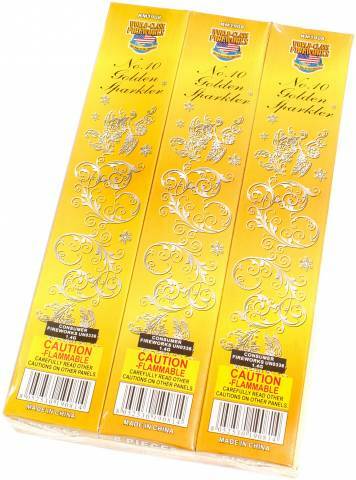 Finally, our 10″ Gold Sparklers are a beautiful addition to add to your night! Made with wire cores instead of bamboo wood, Gold Sparklers burn clean and without much smoke. For $6.93 they come as 12 small boxes of 8 sparklers, for a total of 96 sparklers. Which sparkler is right for your Diwali 2016? Easy–all of them! In the spirit of Diwali we hope you enjoy a time of light, love, and laughter with your friends and family. Diwali begins in the home with the lighting of diyas and, after fireworks/sparkler shows, it ends in the home with gifts and sweets shared among friends. Nice article. You should sell a Diwali package. Thanks! What would you like to see in a Diwali package? Superb post..just in time for Diwali..thanks. i live in los Angeles how long will i receive the fireworks in time by 27th Oct? Thanks, Jyoti! We’re based in Florida, so shipping to Los Angeles takes 4 days. At this point, an order placed today or tomorrow would arrive on Friday the 28th. Sparklers can’t be expedited, unfortunately. 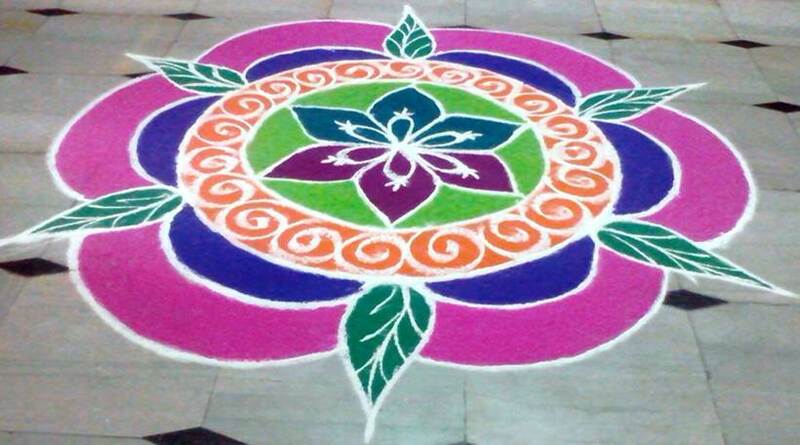 looking beautiful designs of rangoli great work keep posting!! !